Pompeo says hopeful for 'substantial' progress on N.K. US Secretary of State Mike Pompeo said Friday that he is hopeful the US and North Korea will make "substantial" progress on dismantling the North's nuclear weapons program, including through a second summit meeting. Pompeo spoke to Fox News on a visit to Cairo, saying the US goal of final, fully verified denuclearization of North Korea has not changed. "The good news is our conversations with North Korea continue," he said, declining to elaborate on the negotiations. "But we're moving forward in these conversations, lots of ideas about how we might continue to decrease the risk to the American people." 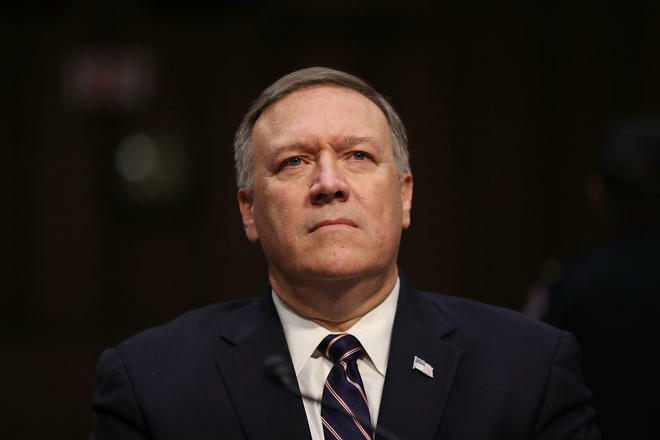 Pompeo was due to meet senior North Korean official Kim Yong-chol in New York in November to follow up on a denuclearization agreement reached by US President Donald Trump and North Korean leader Kim Jong-un in Singapore in June. But that meeting was called off at a day's notice, and no meetings have been announced since. "We've got to get to full and final denuclearization," Pompeo said. "We've been unambiguous when we speak with Chairman Kim and other Korean interlocutors. I am hopeful that in the year ahead we can make substantial progress on that, including getting another summit between the two leaders." Trump said this week that the location of the second summit will probably be announced "in the not-too-distant future." The US has maintained that North Korea must give up its nuclear weapons before receiving the sanctions relief it wants from the US, a position Kim warned in his New Year's address could lead the North to seek a "new way." Asked if there is any change, Pompeo said, "I don't think there has been a single variant from the core proposition, which is the fully denuclearized North Korea as verified by international experts, is the objective of this administration. We intend to achieve that.